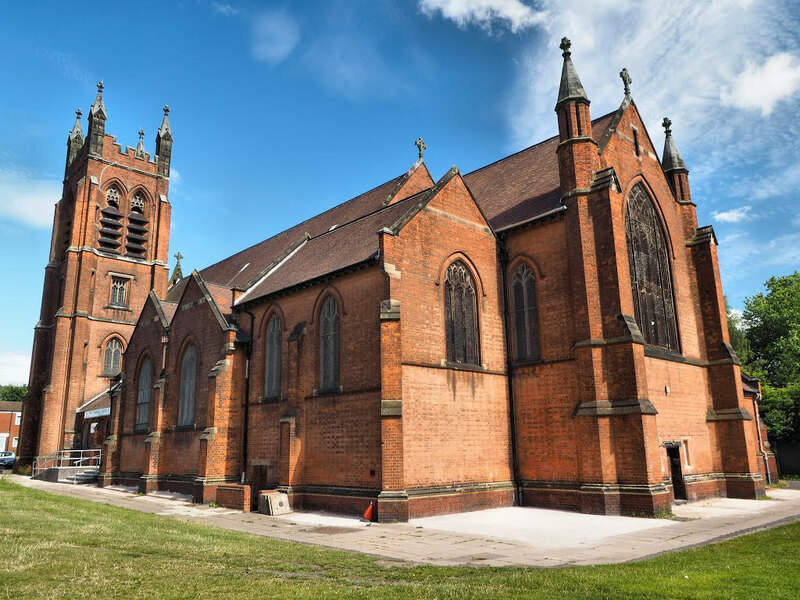 Built in red brick with stone dressings, St Peter's was designed by Birmingham architect F B Osborn in Perpendicular style. It comprises a chancel and nave, transepts, chapel, and a flat-topped west tower. Consecrated in 1902, a parish was assigned out of All Saints' and St. Mark's. In 1897 the benefice and endowments of St Peter Dale End, built in 1827, were transferred to this new church; St Peter's Dale End was demolished in 1899. When this church closed in 2001 the parish was merged with St John's Church, Ladywood and the building sold to become the New Testament Church of God the Rock.